Devices Day at Microsoft grows every year. We have seen the numerous Surface announcements come through the special event held in NYC, as well as the peripheral devices around the ecosystem and a few smartphones as well. As this is the first Device Day after Windows 10 launch, we were greeted with numbers and facts about Windows 10 adoption rates, such as 110 million Win10 installs in 10 weeks, 1 billion questions asked through Cortana and 1.25 billion visits to the Microsoft app store. While the Surface Book announcement arguably stole the show, the big presentation everyone was expecting was for the new Surface Pro 4. Panos Panay exalted the virtues and successes of the Surface Pro 3, such as the march towards 98% of users recommending the device. However the Surface Pro 4 aims to break such records. The device itself looks like an upgrade of the SP3, featuring 500 unique parts, however due to Intel’s major release of their 6th Generation Core platform, the SP4 was expected to get the whole platform upgrade. As a result we will see SP4 devices with Core M (Intel’s 4.5-watt platform), Core i5 and Core i7 processors up to 15W and ‘up to nine hours’ of battery life. From 12-inches in the SP3 to 12.3-inches in the SP4, we are told that the device itself is not any bigger as Microsoft were able to reduce the size of the bezels. The display optical stack is also thinner than before, with Microsoft saying it is the thinnest optical stack ever fitted and comes with Microsoft custom silicon in the form of a G5 processor to help drive the display. The chassis is machined magnesium with the same SP3 kickstand that allows multi-position configurations. 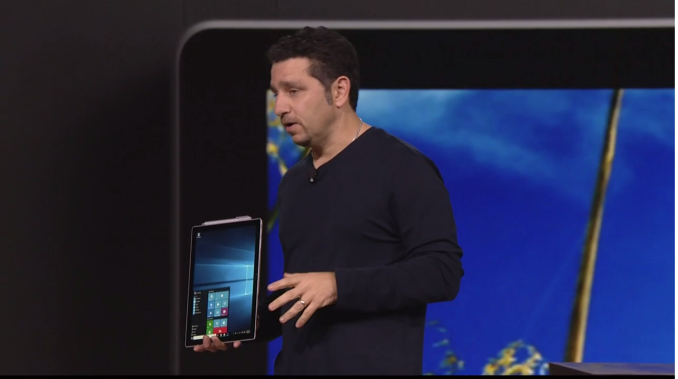 The SP4 comes in at 8.4 mm thick and a hybrid cooled system as well. The display retails the 3:2 aspect ratio of the SP3 but boasts a ‘5 million pixel display’, or 2736x1824 in numbers, with PixelSense. Each display is 100% sRGB with individual calibration, but also features 10-point multitouch. Dimensions 11.5 x 7.93 x 0.33" 11.5 x 7.93 x 0.36" 10.81 x 6.81 x 0.53"
The hardware will also come in 4GB, 8GB and 16GB models for DRAM, paired with 128GB, 256GB, 512GB or 1TB of PCIe 3.0 based SSD storage. We would assume this is PCIe 3.0 x4 in line with current high end storage in other PCs, although Microsoft does not specify at this point. 802.11ac 2T2R WiFi comes as standard with MIMO enabled. Cameras come in the form of an 8MP rear facing auto-focus and a 5MP front-facing camera, both capable of 1080p. 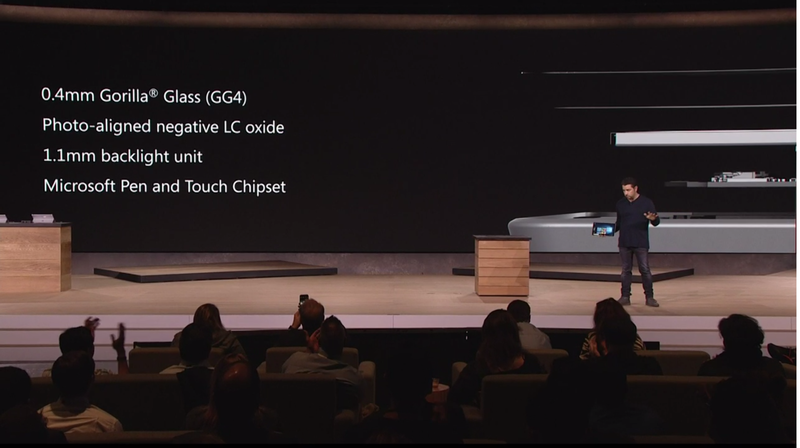 Nothing special was made about the microphones, but the SP4 comes with a full-size USB 3.0 port (note no USB 3.1 or Type-C here). Other inputs include a mini-DisplayPort for external displays, headphones/microphone jack and the Surface Connect for movement out to an external dock capable of driving more screens and USB ports. New Type Covers are inbound as well, featuring a new switch design that facilitates quiet operation and 1.3 mm travel due to a new scissor design. 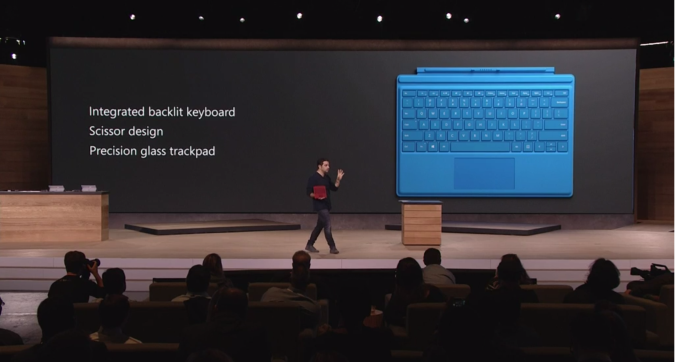 The keyboard is backlit, and the trackpad is 40% larger than previous type covers. It is also worth noting that the trackpad uses precision glass, which Microsoft claims should give a more accurate representation when used. They weren’t 100% clear on the use of fingerprint sensors on trackpads, but there seems to be some versions with fingerprint sensors enabled as well. No pricing was given on the new Type Covers. 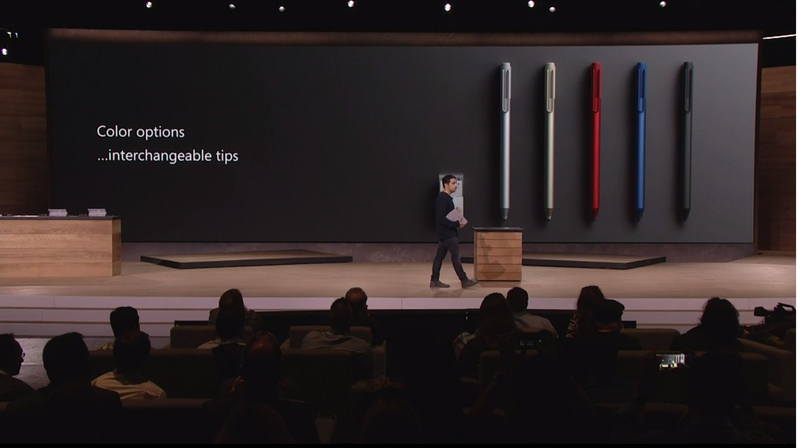 The basic SP4 box will come with the device, a Surface Pen and a power supply (24W with Core m3, 36W with i5/i7 that also has a USB charging port). Prices will start from $900 and go up to $2200, with pre-orders starting on October 7th. Devices will be available from October 26th, but Microsoft failed to mention which regions they would be available, so given the price information we could assume it might be a US/NA initial launch at this point with other regions to follow. If we get more information on this, we will update this post. TDP 4.5W ? 15W ? 15W ? 15W ? 15W ? 15 W ? 15 W ? At this point the exact CPU models are unknown, or whether each device will use some form of cTDP Up or cTDP Down to align with the chassis. One would assume the Core m3 is in cTDP Up mode to align with the performance of the others, though the battery life of the Core m3 device would be interesting nonetheless as the CPU draws less power overall. We will have to try and source at least one m3, i5 and i7 due to the configuration differences for review. "Better buy a high end of laptop if you need that much horsepower." I know seriously these comments make me laugh. The SP4 and SB are the ultimate in business class tablets. They can replace an ultrabook in many cases but not all - hence why we have the option to buy a different format hybrid, or ultrathin, laptop, etc. Wow you're right. The new VAIO Z Canvas is the fastest (and most expensive) tablet I've seen. 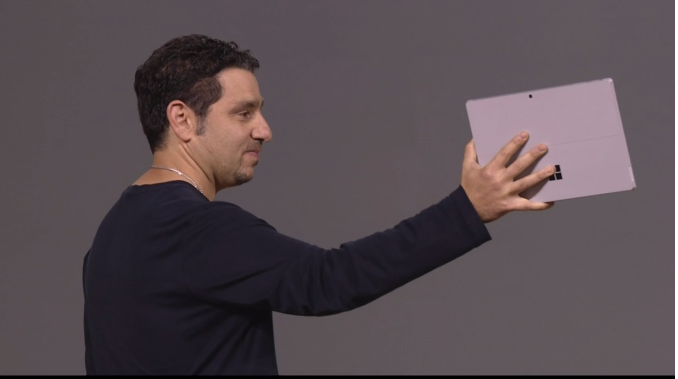 The 1TB model is $3100. Looking at it, the Canvas has some serious cooling and I'd bet it still doesn't turbo very well for any length of time. They certainly aren't running it at the full TDP, but I'd bet it still devours power too. So, the Surface Pro 4 is still likely better overall in the business tablet arena.